Comet Lulin. one of the brightest comets in recent times visible in the northern hemisphere. 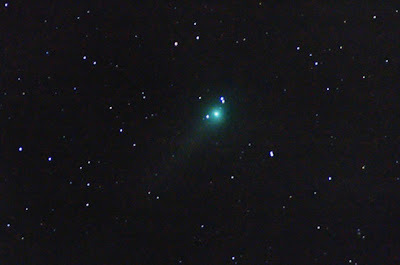 shot with a 300mm lens, the time-lapse shows the motion of the comet relative to the stars(duration of about 1 hour).